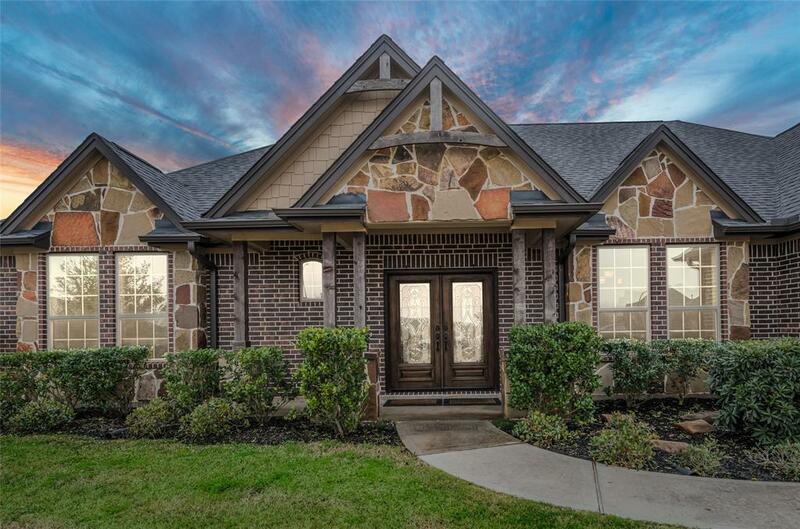 Nestled in the private gated community of Tejas Lakes, this well-maintained custom home offers a gourmet kitchen, large living areas, and breathtaking views of a picturesque cotton farm. 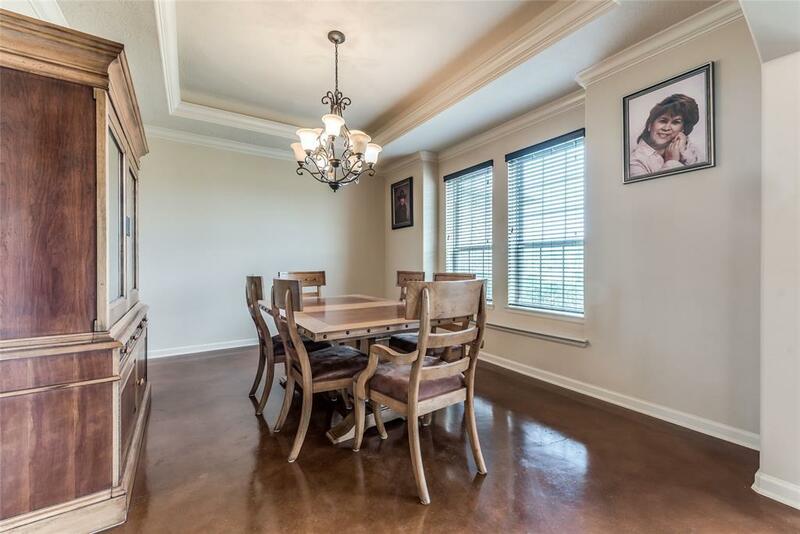 This custom built Campbell Garrett home features, trend conscious paint, modern stained concrete floors, and finishing touches such as arched walkways, crown molding, and tray ceilings combine for an understatedly elegant home. Spacious kitchen offers exotic granite countertops, double ovens, stately custom cabinets, beautiful tile backsplash, and accent island. Relax in the luxurious master bath, complete with dual sinks, dual closets, soaking tub, and walk in shower. 3 car garage, plus additional one car garage, provides a spot for everything. Enjoy the serene views from the covered back patio. 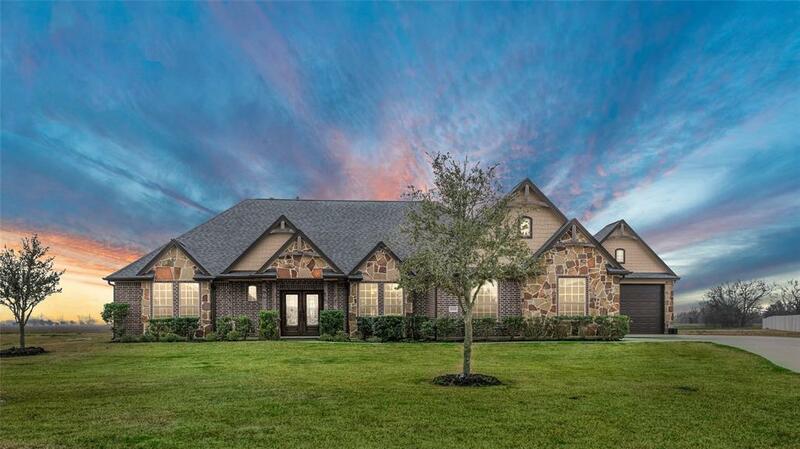 With over 1 acre of land, there is plenty of space to run free! Luxurious country living at its best.